Robert Stirling was born on October 25, 1790 at Gloag in the county of Perthshire in Scotland. He died on June 6, 1878 at Galston, a city located at approximately 30 km in the south of Glasgow. He was the third of a family of eight children. His paternal grandfather manufactured threshing machines, his maternal grandfather was a farmer. He pursued brilliant studies at the University of Edinburgh from 1805 to 1808. Then he studied theology at the University of Glasgow to become a clergyman. Robert Stirling was married, on July 10, 1819, to Jean Rankin. They had seven children. Four boys became engineers in the railways (Patrick, William, Robert and James), another chose to become a clergyman (David). As for the two girls, Jane fed her ideas to her brothers and Agnes was a gifted artist whose talents were confined to the family. 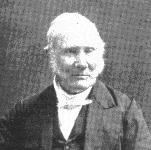 The life of Robert Stirling took place during the nineteenth century with many scientific and technologic discoveries. This is probably the ferment of ideas, his natural curiosity and his pragmatism that incited Robert Stirling to invent the "hot-air engine". The patent was filed on September 27, 1816 and was effective on January 20, 1817. At that time, steam boilers frequently exploded and made victims. Design problems, poor quality of materials, quasi-absence of use and maintenance rules were the reason of these disasters. Probably, this motivated Robert Stirling to imagine an engine without boiler subjected to too strong pressures. The principle of operation is relatively simple: combustion is external, the principal fluid is air with a modest pressure and is subjected to the following cycle : heating, expansion, cooling then compression. The first experimental model design by Robert Stirling was found by Lord Kelvin (or William Thomson) in 1847. He was the first to give rigorous and scientific explanation to the operation. This engine is now at the National Museum of Scotland. A copy exist at the Science Museum in Kensington. Robert Stirling also had the idea of a heat regenerator allowing to improve the overall efficiency of the installation. In good Scots, he called it an "economizer". His James brother “industrialized” this engine in 1843 for a use in the factory where he was engineer. This invention had other applications in agriculture and industry until 1922 for pumping water, or for generating electricity. However, it probably did not have all the success that Robert Stirling and his James brother could have wished, for competitiveness reasons. The steam engine, however more dangerous at that time, took the lead. Then, one saw the first industrial applications of the electric motorization. In 1938, the company "Philips" invested in the hot air engine, now known as "Stirling engine". The first engine, bungalow-set had 200W of power. Other applications were developed in the automotive field. Philips designed different engines. For example, 360-15 type engine developped 360 HP ! Unfortunately, for competitive reasons, these applications did not met the expected success. Robert Stirling and his engine do not have the fame which they deserve. More than two centuries after Robert Stirling birth, it is likely that the 21th century, with its concerns in the area of energy and ecology, will redress this injustice.